We are a bunch of like-minded individuals who all look for the same thing from our sailing - go anywhere, do anything, and be comfortable when you get there. With family, with friends, sometimes out on our own. You will often see us out and about on the water at weekends, sailing in company even when there is no "official" event going on. Anyone owning, having owned, or intending to purchase a Legend yacht may join the Association. Membership is only £20 per year and you may JOIN ONLINE. 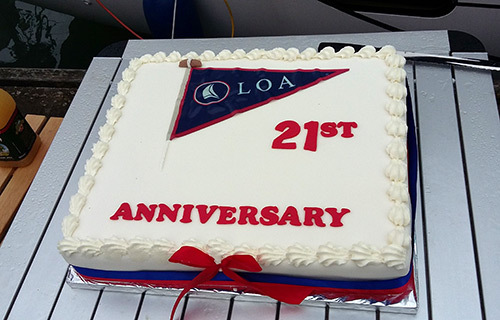 Social sailing is a large part of what being an LOA member is all about. We like nothing more than getting together with friends at every opportunity. We are a family orientated association which organises numerous events during the year for members to enjoy. 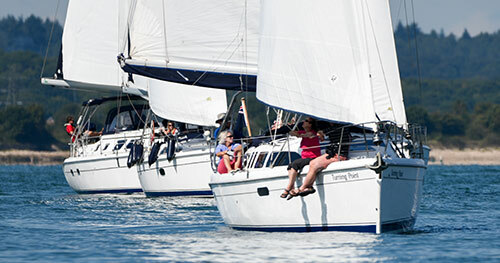 We share similar views and values in choosing Legend yachts and whilst not particularly interested in racing, we like our yachts to be able to make respectable progress both under power and sail. Legend Yachts enable "go-anywhere" sailing and allow us to be comfortable and socialise when we get there. We dislike elitism and stuffy associations bogged down by too many rules. Size doesn't matter! Whatever your level of experience, whether you have a second-hand 19' or a brand spanking new top-of-the-range 50AC, you will feel at home as an LOA member, so why not give it a go and JOIN TODAY . Rallies and events throughout the year, some are planned, others are spur-of the-moment! 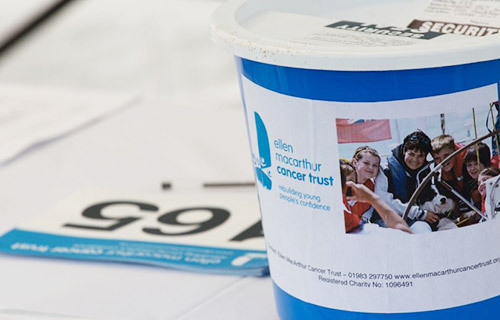 'Over a number of years we have been proud to raise a significant amount of money in support of the LOA's chosen charity: The Ellen MacArthur Cancer Trust. In 2000 Dame Ellen MacArthur DBE sailed with A Chacun Son Cap, a French charity for children with cancer and leukaemia. 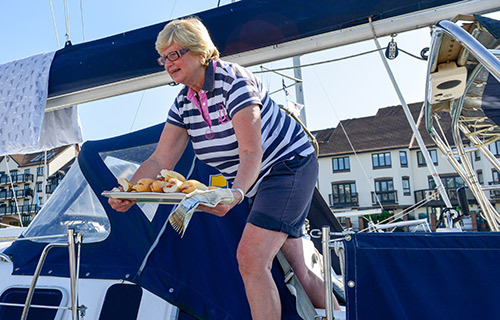 Inspired by the incredible impact sailing had on helping those children rediscover themselves in the confusing aftermath of cancer, and by their courage, spirit and humour, Ellen launched the Trust in 2003. © 2018 The Legend Owners Association. Design by LIVE ICOM. All Rights Reserved.